The best teachers in the world. 10 different courses. Material included. 10 levels of learning. 12 students max in each class. Communicative method. Tutorials included. Do you need anything more? We provide a complete daily program in Salamanca for an experience that you will remember for the rest of your life with more than 3000 students that come through Colegio Delibes every year. 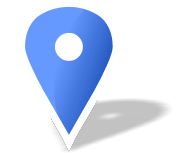 We offer five different types of accommodation for you to choose exactly where you want to live. 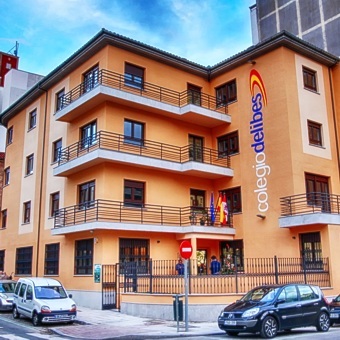 All housing options are managed by Colegio Delibes. Free conferences. Free movies. Tapas tour. Sports. Spanish cooking classes. Everything prepared for you to come and learn Spanish and enjoy Salamanca fully. Are you interested in learning Spanish? Great! You have reached Colegio Delibes: The best way to learn Spanish for first time or improve your language skills. Colegio Delibes is located in a five story historic building in the square of Julian Sanchez "El Charro", just a five minutes walk from the Plaza Mayor. It is fully restored with the latest technology, equipped with an 8 person elevator, and has 23 spacious classrooms, all with climate control, computers, projectors and free Wi-Fi for students. You can enjoy a coffee in our outdoor patio during class breaks with your classmates and enjoy the sun while sitting on one of its benches. Inside, you can enjoy a fully equipped video and conference room with a 60 person capacity, a gastronomy classroom for cooking classes, a library with books on loan, a computer room with free use of the Internet, an art gallery in the interior courtyard and WiFi networks on every floor. When exiting the building, you will be greeted by a large green open square, full of trees and benches, and void of cars and traffic. Our students love the beautiful, safe, comfotrable environment to get some fresh air between and after classes. This course allows you to study Spanish culture further than other topics. You will be able to experience the real Spain through its history, arts, gastronomy, and other cultural topics. Make the most of every morning with 5 hours of classes, leaving the afternoons for you to join in with all of the programmed activities. 1st and 2nd hour: Grammar (Course A). 5th hour: Conversation. You will cover colloquial experssions, debates, and discussions on current texts. Students who have a beginner’s level of Spanish will be familiarized with basic vocabulary which will enable them to get around and travel in Spain independently and with confidence. There are different types of works covered during class such as periodical, literary, social, political, and economic. This is the most suitable course for the majority of students. This intensive course allows you to learn quickly and to participate in the school's programmed activities where you will continue to learn outside of the classroom. During the first two hours, you will be taught various grammatical topics and they will be supported by a variety of exercises. These will include the correction of sentences, examples, as well as structural work on texts. The following two hours will be devoted to conversation including oral and written expression, vocabulary, colloquial phrases, as well as reading and listening comprehension. 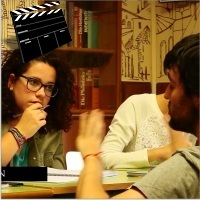 Spanish courses videos. Colegio Delibes. Click on the following images to view our videos about our College, spanish classes, accommodation and activities in Salamanca. 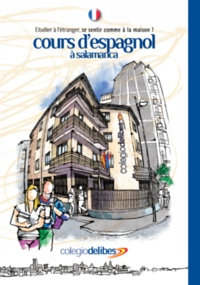 Colegio Delibes has a new building in Salamanca! We moved to a new building in the center of Salamanca!